A Victory for the Printing Industry! We are breaking Print Myths! CHICAGO (November 3, 2014) – Today, Two Sides North America, Inc. announced that over 30 leading North American companies have committed to remove “anti-paper” based claims being used to promote electronic billing and other e-services as more environmentally-friendly. “Many in the graphic communications industry, from family forest owners to paper mills, printers, mailers and related businesses, are tired of seeing misleading environmental claims about print and paper. Our campaign has been focused on educating corporate marketers on the unique social and environmental benefits of print and paper, and to ensure that claims used to promote e-services are based on credible science and facts,” states Two Sides North America President Phil Riebel. Print lovers celebrate their love of print every day, but now we have an official date to brag… OCTOBER 8, 2014 is International Print Day! For a whole 24-Hours, print benefits and knowledge will be shared through social media by all those in favor of print. So what are you waiting for? Get involved! 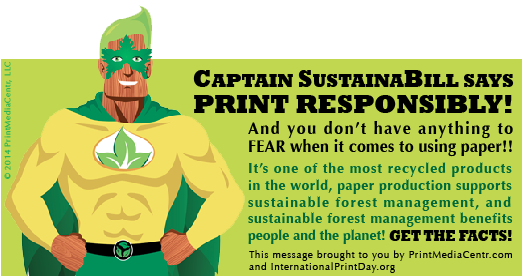 Share your favorite pro-print and print is green fact! Just tag #IPD14! While it’s true that collecting used paper and recycling it into new products is good for the environment, there’s a catch. The wood fibers in paper can be recycled only about five times before they get too weak and break down. That’s why we need fresh fiber harvested from responsibly managed forests, too. Using fresh fiber creates a sustainable cycle of high-quality recyclable material to continually replenish recycled fiber. And the paper industry’s perpetual use of trees discourages the sell-off of land for development, encourages sustainable forestry practices and supports hundreds of thousands of U.S. jobs. To make the global fiber supply work, a continual input of fresh fiber is needed depending on the grade of paper manufactured (from 34% for tissue to 89% for printing and writing papers). Without this continual addition of fresh fiber, the supply of usable recycled fiber available to manufacture new products would last only a few months, depending on the grade of paper being manufactured (from 1.5 months for printing and writing papers to 17.5 months for tissue). Where profitable, timber management and the revenues it generates can serve as a hedge against the conversion of forest land to other uses such as real estate development, although the extent to which it can actually do so in the face of rapid increases in land values close to urban areas will vary. The US mailing industry provides 8.4 million jobs and $1.3 trillion in sales revenue. The production, distribution and handling of mail (including paper and printing) accounts for over 2 million jobs and over $260 million in sales revenue. HELP PRINT TREND THE PLANET! Tell me if you’ve heard this before: Print marketing is dead. Customers don’t respond to it anymore. It’s too expensive. You can’t personalise it. It’s a thing of the past, and if you’re still doing print marketing, you’re living in the Stone Age. I’m sure you have. It’s a common misconception that print marketing is dead and gone, never to be seen again. In reality, print marketing isn’t disappearing; it’s thriving. No, it’s not the same as it was a decade ago. It has evolved with the times, but print marketing is fundamentally still print marketing. While the world is going digital and the web keeps getting more crowded, there is still an opportunity to reach customers offline. Direct mail still holds a 43% share of total retail advertising, and 76% of small businesses say their ideal marketing strategy involves both digital and print marketing efforts. Print is still very much alive, and here are a few ways you can use print marketing to differentiate your brand. Help us spread the Printed Word! Choose Print! Of the 527 respondents, two-thirds of which have used both e-textbooks and printed version, 57% said they prefer print. Only 21% of those polled favor the e-version. The remaining 21% stated that they prefer both formats. The preference for print was also much higher—at 62%—in the 18- to 35-year-old bracket, which account for 75% of the respondents. Contrary to what most would expect, the younger and supposedly tech-savvy students are not all that into e-textbooks. The survey also reveals that Education and Library & Information Science students, representing 49% of the total respondents, used printed textbooks more than other majors, including Business and Science. So a 100% electronic-only publishing strategy, which is currently pursued by several major educational publishers, needs a rethink. Incorporating print-ready and on-demand deliverables into the publishing workflow is the smart (and easy) way to increase revenues from digital-only products. The preference for print was also much higher—at 62%—in the 18 to 35-year-old bracket, which account for 75% of the respondents. Contrary to what most would expect, the younger and supposedly tech-savvy students are not all that into e-textbooks. Best Way to Decompress? See what Fashionista SJP Says! Beautiful Actress and Fashionista, Sarah Jessica Parker, recently gave an interview to Vogue showing off her NYC home. Printed Books line her walls and shelves. “Adult readership of print books actually rebounded last year , after a period of decline, according to the study by Princeton Survey Research Associates International on behalf of the Pew Research Center. 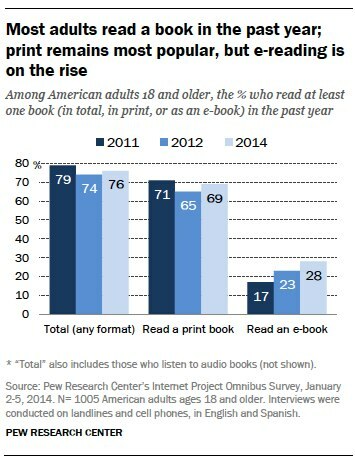 While 28% of adults had read an e-book in the last year, 69% had read a print book, and reading overall was up. ‘Though e-books are rising in popularity, print remains the foundation of Americans’ reading habits,’ Pew researchers wrote in a release on the survey’s results. ‘Most people who read e-books also read print books, and just 4% of readers are “e-book only.”‘ Overall, 89% of those who had read an e-book had also read a book in print. The P.A. Hutchison Company has perfected print manufacturing over its 100 plus years in business. Show your printed support! Call today and place your order. American university students this spring still are using printed textbooks far more than eTexts. In 2010, it was predicted eTexts would rise from 2 percent of college course materials to more than 18 percent after 2014. It didn’t happen. In the study “Student Reading Practices in Print and Electronic Media” to be published in the journal College & Research Libraries in September 2014, researchers tracked the reading habits of juniors, seniors and graduate students at the College of New York. Although students used electronic media for non-academic reading, they relied on paper for academics. 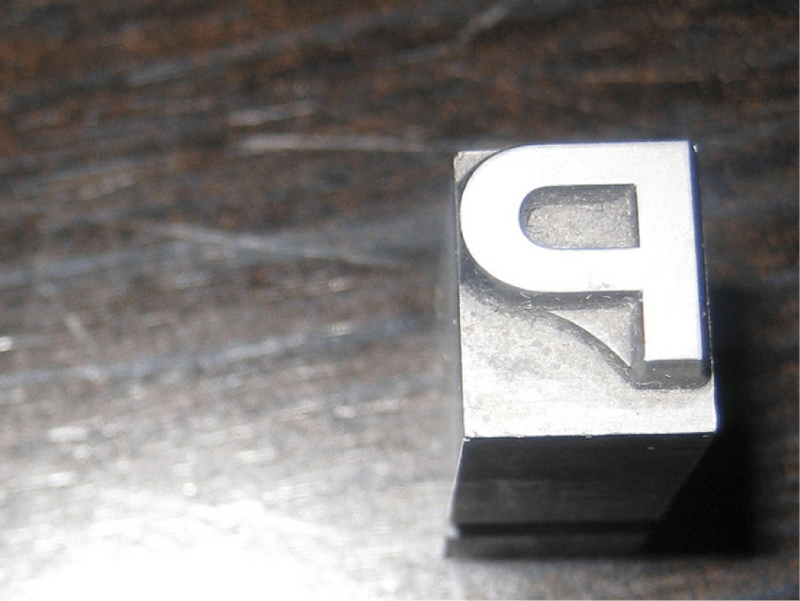 Another writer, Ferris Jabr, details the extensive research during the last two years that confirms the science behind students’ intuitive preference for printed text. In the November issue of Scientific American, Jabr lays out the shortcomings of reading from screens in “Why the Brain Prefers Print.” Summarizing recent research from Tufts University, Indiana University, University of Stavanger (Norway), Karlstad University (Sweden), Technion-Israel Institute of Technology, University of Leicester, University of Central Florida and San Jose State University, the downsides of reading on-screen are piling up. Research indicates the brain treats words as physical objects which have a placement on a page but are fleeting on screen. Measures of brain activity are high when a student writes letters by hand, but not when they are typed. Many of us experience “drifting away” while scrolling. Research shows scrolling promotes shallow reading and reduces comprehension. Text provides us with both “deep reading” and context. Researchers found screens promote browsing, taking shortcuts and scanning. Readers of print are much more likely to re-read and check for understanding. For college students, the bottom line is: “Will the format affect my test scores?” Researchers found “volunteers using paper scored about 10 percentage points higher … students using paper approached the exam with a more studious attitude than their screen-reading peers.” Under both modes, students could superficially “remember,” but those studying printed text “knew with certainty,” a trait likely related to the deep-reading of print. Will the next “digital generation” avoid this difference and be better adapted to screens? Even with young children, researchers found the screens got in the way. Children were distracted into fiddling with the knobs on the device and otherwise being distracted by the technology. John Richard Schrock is a professor in the Department of Biological Sciences at Emporia State University. So do not wait! Contact The P.A. Hutchison Company to get your printed order in today!